With so many types of oils out there, it’s hard to know when to use what oil. And the reality is that not all fats are created equal so a single oil often won’t cut it. While a tablespoon of any kind of oil is roughly about 120 calories, the composition and smoke point differs which affects how healthy an oil is. Different oils are more appropriate for different cooking methods so we need a variety of oil in our kitchen depending on type of cooking. Before we explore what makes a fat healthier than others, it’s important to distinguish the different types of fats. You’ve probably heard the term “good fats” and “bad fats” used quite often. This has to do with the composition of the fat and how it affects our health. Generally speaking, “good fats” are those that are more liquid at room temperature known as unsaturated fats and “bad fats” are those that are more solid like saturated fats or have been chemically processed through hydrogenation like trans fats. There are of course some exceptions to this label so I thought I’d explain a bit more detail about each of the types of fats. Saturated fats- These fats are solid at room temperature and generally speaking, are not heart healthy because they increase our LDL cholesterol. These should be kept limited in our diet at less than 7% of our daily fat calories. Best way to keep saturated fat low in our diet is to limit red meat and whole fat dairy products. The only exceptions to saturated fats being unhealthy is coconut oil and oils that contain a large amount of stearic acid. Studies show that coconut oil because of its high lauric acid content and other nutrients, has has some cardiovascular benefits despite it’s high saturated fat content. Similarly, stearic acid which is commonly found in cocoa and shea butters is also not as unhealthy as we thought. Trans fats- These fats are commercially made and chemically processed to have a longer shelf-life and cheaper price. Unfortunately, research shows that these oils both lower good cholesterol and increase bad cholesterol. Monounsaturated fats- These fats are liquid at room temperature and are generally very heart healthy since they help increase our good cholesterol. Avocados, nuts, and olives are high in monounsaturated fats. Polyunsaturated fats- these fats are also liquid at room temperature and are generally heart healthy. 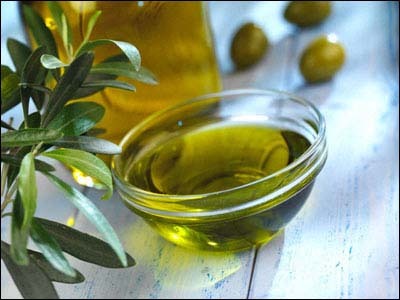 Both omega-3 and omega-6 fatty acids are polyunsaturated fats. When your ratio of omega-6 to omega-3 fatty acids are ideal, it promotes heart health. However, most people probably in the U.S. get more than enough omega-6 fatty acids so our ratio is skewed more towards omega-6 which is not a heart healthy ration. So, when it comes to polyunsaturated fats, focus on getting more omega-3’s in your diet for optimal heart health. They’re found in fish, walnuts, and flaxseeds. Depending on the oil and how it’s been processed, it will have a different smoke point. This refers to the heat level up to which the oil starts to smoke resulting in the production of toxic fumes and free radicals. This makes a once healthy oil a not so healthy oil. That’s why it’s important to vary your oil based on the type of cooking method to avoid heating an oil above it’s smoking point. Follow these guidelines for when to use what type of oils to ensure you don’t heat an oil above it’s smoke point. Not listed here is trans fat which are partially or fully hydrogenated oils mainly found in shortenings and commercially used products and cooking. These oils are the most unhealthy because they both increase LDL and decrease HDL. These oils should definitely be avoided whenever possible. Just look read the ingredients on food labels and avoid eating anything with “partially hydrogenated” or “hydrogenated” in front of any oils used. The type of cooking method should be a major factor in the oil you choose to use because a once healthy oil, if heated too high loses it’s health benefits and actually becomes worst for you because of free radicals created. If you heat an oil up and see it smoking, discard the oil and start over. Extra Virgin Olive Oil is a great oil for most cooking uses so I personally mainly use this for most of my cooking and have canola oil on hand for oven and higher temperature cooking. For salads I try to use flaxseed oil for the added omega-3 fatty acids it provides. 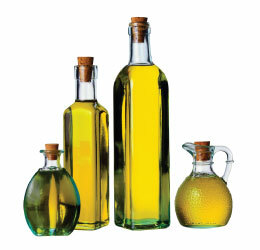 Obviously, regardless of what oil you use, fat contains 9 calories per gram so the key is moderation. Use spray oils or buy your own sprayer and fill it with your favorite oil to keep the amount of oil we consume low. Avoid refined trans fats like hydrogenated or partially hydrogenated oils when possible. For a more detailed chart of what oils to use and when, I like this chart that incorporates smoke point and fat composition to create a road map of all the different oil options out there and when to use them. However, if it’s too complicated, stick to a combination of mostly EVOO and Canola in terms of cooking at home.